San Francisco, March 30: Apple has called off its "AirPower" product that was supposed to charge an iPhone, Apple Watch and AirPod at the same time. 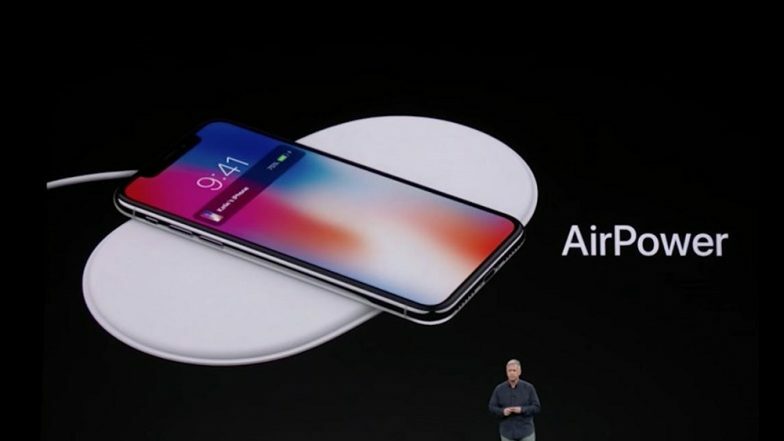 Citing difficulty meeting its own standards, the tech giant finally bid goodbye to "AirPower" which was a wireless charging mat, originally announced in September 2017. Apple iPhone 11 New Leaked Image Reveals Triple Rear Camera Design; View Picture. Apple had said it would launch "AirPower" in 2018, but it never did. It was a rare miss for Apple, which typically has a good track record of following through on product announcements. The "AirPower" was reported to have faced internal development challenges due to which the Cupertino-based giant could not bring the product to market as smoothly as expected. The tech giant also stopped mentioning AirPower in its website after the September 2018 launch of the latest iPhone models. Apple Apologises to Users for Faulty Macbook's Butterfly Keyboards. Famed Apple writer John Gruber had suggested that the "AirPower" was facing overheating problems. Apple also remained tight-lipped about the pricing of the product.